In order to understand the importance of link building you have to know about the way Google perceives the activity. It is an indirect way of judging the quality of your website. The logic is simple – if your website is good and is relevant for many people, they would be attracted to it. This would make them eager to link their website with yours. When this happens, you earn a link from that website. Google takes note of it and the number of links that you gain enhances your ranking efficiency. Being ranked better, your website is likely to attract more traffic. In practice, the task is not as simple as it has been to explain it. The method that has been described indicates that link acquisition is voluntary and is known as organic link building. It resembles a natural process as others are attracted by the quality of your website and link to it on their own. Google has a set of rules and guidelines that govern link building. The rules ensure that the process is unbiased and organic. Violating the rules can attract penalties that affect SEO campaigns. What should be the right approach has been discussed in this post. From the time Google introduced the concept of page ranking it has highlighted the importance of acquiring external links. It made unequivocally clear that the quality and number of external links were directly linked to how a page would be ranked in search results. It was one of the major elements that were included in the algorithm for page ranking. Since link building was so important for page ranking, it was and still remains the most critical aspect of any successful SEO campaign. A lot depends on the quality of link building campaign that you undertake. However, with time, people lost vision of Google’s guidelines about quality and quantity of links. Since it was easy to gather more links over quality links, link building campaigns got mired in clandestine activities. The focus was only on quantity and not quality, although both are equally important to Google. Ways were devised to circumvent the guidelines and hoodwink Google. This led to the gray hat and black hat practices that brought spamming to the fore. To stop the sacrilege of the system, Google tightened its belt and introduced algorithm updates like Panda and Penguin. 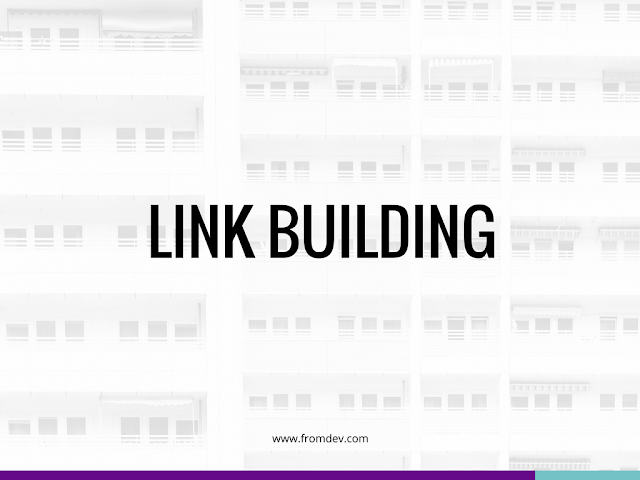 Link building became very difficult yet remained important. Seen against this backdrop, link building is a tough exercise now, to stay compliant with Google’s guidelines. With frequent updates, the landscape of link building is changing every now and then. In order to stay on the right side of the law yet conduct a powerful SEO campaign, you have to rely on professionals. Link building is a subject by itself and needs undivided attention and expertise for proper implementation. Therefore, outsourcing it would ensure that things are done rightly and the results are made available within defined time frames. The benefits of outsourcing have been discussed in this post. Link building is directly related to the quality of your website that has to be made up of quality content. Since you outsource the campaign, you make it clear to the service provider about your objective of staying clean and steering clear of any malpractices. This means that the service provider has to rely on organic link building procedures. The NYC SEO Company that you engage will line up its resources to respond to your call for organic link building. They have their affiliates who will be used for building links naturally. The specialty about link building is not the method but the rules and guidelines that have to be followed. Google maintains strict vigil against any violation that amounts to a severe penalty. By assigning the task to a professional company, you make clear about your intentions about playing by the rules. Since the professionals earn from what they trade in, they would respect your views to the fullest. Avoiding shortcuts and walking the extra mile is what you can expect from them. When this happens, you are assured that your SEO campaign is moving on the right track. So if you're outsourcing this work, ensure you go for an agency that uses a white-hat approach and provides transparency in the work they're doing. Google’s vigilance results in frequent updates of the algorithm that has to be under constant scrutiny by SEO users. As you are outsourcing the task of link building, you make sure that the updates are under close scrutiny for compliance. At the same time, all changes that are necessitated by updates are incorporated in the system. It is a full-time task that could not have been done by using in-house infrastructure. By staying updated, the benefits of the changes can be quickly captured to gain competitive advantage. It also ensures better compliance. Link building is a tedious task as it is repetitive in nature. Moreover, interpreting rules and guidelines properly are essential for proper implementation. Since outsourcing allows a dedicated workforce to be deployed for the job, it receives proper attention that is required. No matter how complex and time taking some tasks might be, it is accomplished with professional smartness that saves a lot of time. Implementation is faster and more effective. A lot of potentials is hidden in the way the rules are interpreted. By understanding the real consequences of the rules, the professionals are able to extract more mileage from their efforts. While some rules might appear to be quite limiting, through proper interpretation they can relate it better to the ground realities. This allows them to work out ways of deriving more benefits from it than it would have been possible had you tried to do it on your own. You get back more than what you would expect. Since link building is an activity that is associated with the overall betterment of your web existence, you are assured of following the best practices of the industry. You enjoy the benefits of high-quality content that are reflected in your business results. Trevor Williams is Project Consultant for a NYC SEO Company. He is fond of sharing his views and opinion on SEO and utilizes his habit of writing to a great extent. Offering more insight about the industry and the best practices is his motto in writing posts, even as a guest blogger. He is a sports enthusiast, and loves soccer.